It looks like Felicia Day will be joining the cast of the new Mystery Science Theater 3000 series coming to a small screen near you soon. And if Joel Hodgson has his way, comedians Hampton Yount and Baron Vaughn will be joining the show, to voice Crow T. Robot and Tom Servo. If all goes according to plan. 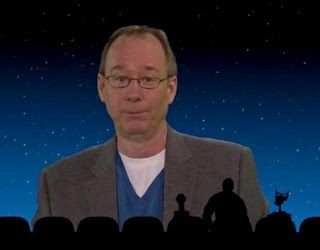 Wait... did I say the new MST3K? Yep, I did. Earlier in November I told you about MST3K's Kickstarter campaign where they needed $2M to finance three episodes. Then another $1.3M to finance three more episodes. And if they got to $5.5M, they would have a full season of 12 episodes of MST3K. From there, Joel was hoping they'd get picked up by a network to continue the journey once again, beyond this single season of new riffing. As it stands at the time I started writing this piece, they had 23,000 backers donating $2,528,387 to the cause. It's going like gangbusters, but with 18 days to go, unless a rich, magical fairy steps up, we may not be getting the full season of the show. But for now, it looks like we'll at leat be getting a few episodes. An episode of MST3K is a two-hour movie with the shadows of a few characters expertly riffing and ripping on some unfortunate movie that never quite made it in the theater... but gets slightly repopularized via MST3K. But it is going strong. Since I noted a few minutes ago that they had $2,528,387, they now have 42 more doners, making it $2,532,493. You go Joel, you go!!! Here's their Bring Back MST3K Kickstarter link. Sure, it may only be a streaming online event, but something new is better than nothing, right? Oh, and if you want, Shout Factory is having a Thanksgiving 2015 day live streaming marathon of the show.